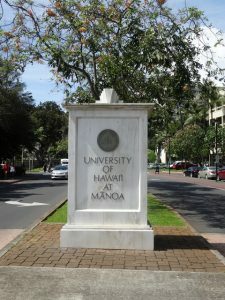 The Pacific International Training Desk (Pacific Desk) was established by the NOAA/National Weather Service (NWS) at the Weather Forecast Office (WFO) Honolulu at the University of Hawaii. 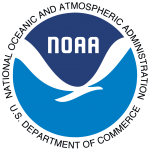 The Pacific Desk was established more than a decade ago and is in alignment with the mission of the International Activities Office (IAO) of the U.S. NWS to “promote the international interests of the U.S., meteorological and physical community improving the levels of science, technology, operations, and services worldwide.” The Pacific Desk, as one of NOAA’s contributions to the World Meteorological Organization (WMO) Voluntary Cooperation Program (VCP), is intended to provide training opportunities for participants from the WMO Regional Association (RA) V and WMO RA II developing countries in East and Southeast Asia and who are also members of the ESCAP/WMO Typhoon Committee. The focus of the Pacific Desk program is to develop the technical capacity of hydro-meteorologists in the Asia Pacific region. The Pacific Desk on participant learning outcomes such as improved ability to predict the onset of severe weather events, forecast daily local weather, and prepare and disseminate locally-produced meteorological, hydrologic, and climate products.